Money is the closest to everything, but also what distances us from many things. If space could bring us closer together I would enjoy every single minute being apart. But the reality is distance has drawn to a conclusion and we were once magnificent! If you truly love someone, there is no distances that can keep you apart. Even if you're far from each other, if your hearts are connected, distance will only be numbers. No matter the distance apart, if you are meant to be together, in the end, you will find yourselves together; if you don't give up on each other. As we sink deeper into the ways of this world, we put more and more distance between ourselves and God. The more distance we put between ourselves and God, the harder and harder it is to maintain His intended love in our lives. Distance is the property created by the object or space between two points. Distance between two places is the size of the gap between two places. Separate countries and cities are separated by distance. To overcome this distance, one uses different modes of transport such as bikes, cars, trains, airplanes etc. The choice of a mode of transport depends upon the distance to be traversed between the source and the destination points. 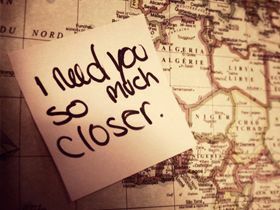 Distance can also imply to indifference by personal withdrawal or what we also call as “emotional distance.” Emotional distances take their toll on a long distance relationship, especially when the couple is far apart and are trying to make their relationship work. Distance often gets the better of them and the relationship goes kaput with the couple deciding to part ways. 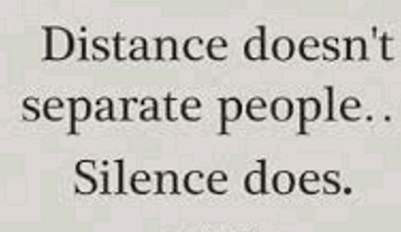 Distance poisons and ruins long distance relationships. Distances at times, can become too huge that they cannot be bridged.